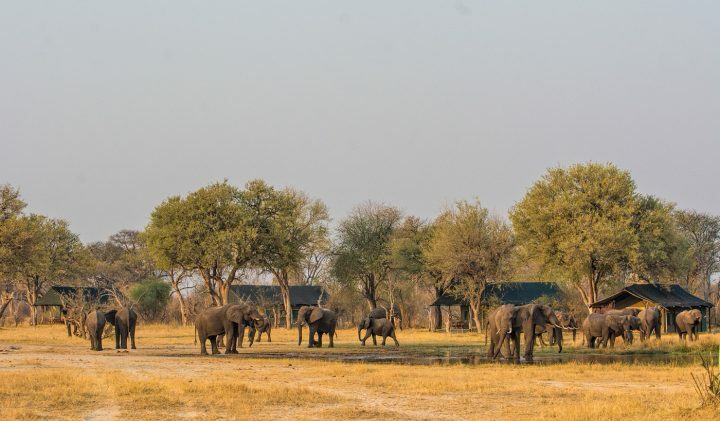 The fourth camp to feature in our list of places that always deliver is Bomani Tented Lodge in Zimbabwe’s Hwange National Park. 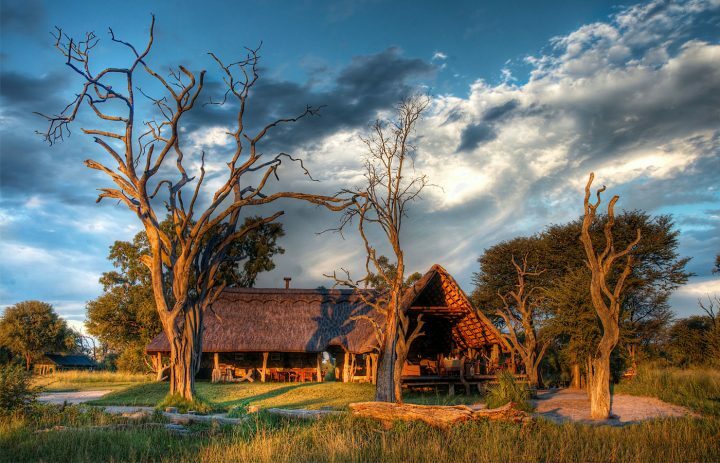 Bomani is one of 6 properties operated by Imvelo Safari Lodges in Zimbabwe. All the Imvelo properties offer amazing value for money and are operated in close partnership with local communities. 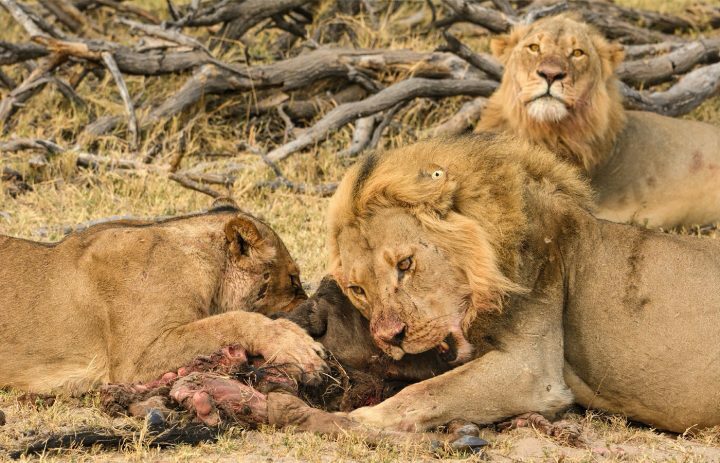 This luxurious tented lodge is situated in a private community concession on the edge of the magnificent Ngamo Plains, a remote and unspoilt south eastern corner of Hwange National Park. 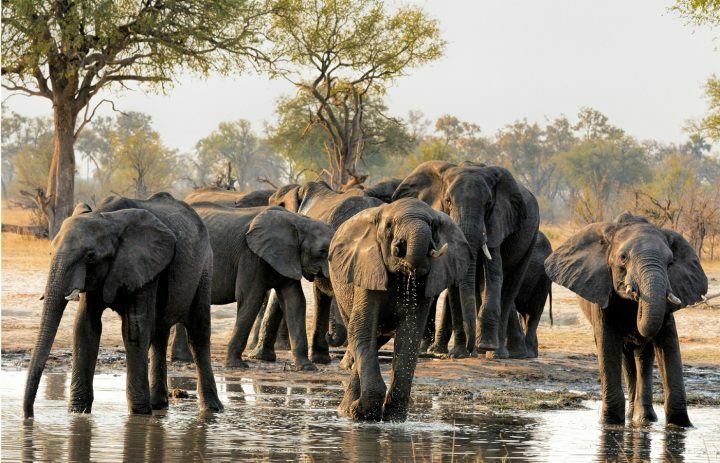 Bomani is famous for its unique scenery as well as its large herds of elephants and buffalo as well all the other animals and bird life resident in Hwange. 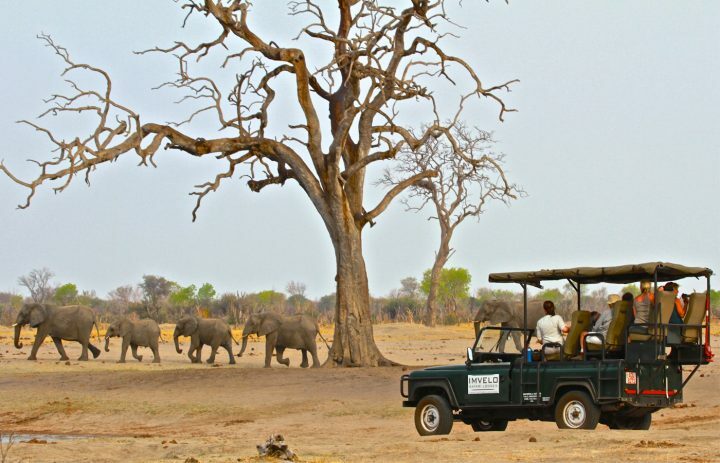 Some of our most popular safaris in Zimbabwe combine Hwange National Park with Victoria Falls. Bomani has 11 guest tents; although they are so large and well appointed it is perhaps misleading to refer to them as tents at all. 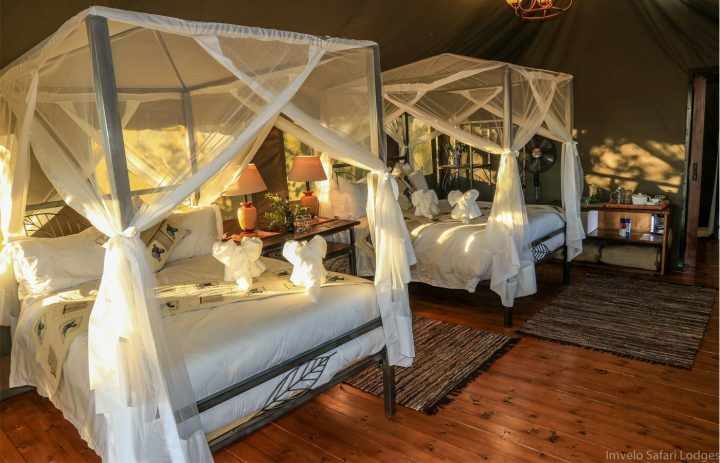 The 5 Saddlebill Tents and Sable Suite (family unit) are raised 1 metre above the ground on wooden decks and overlook the Ngamo Plain. 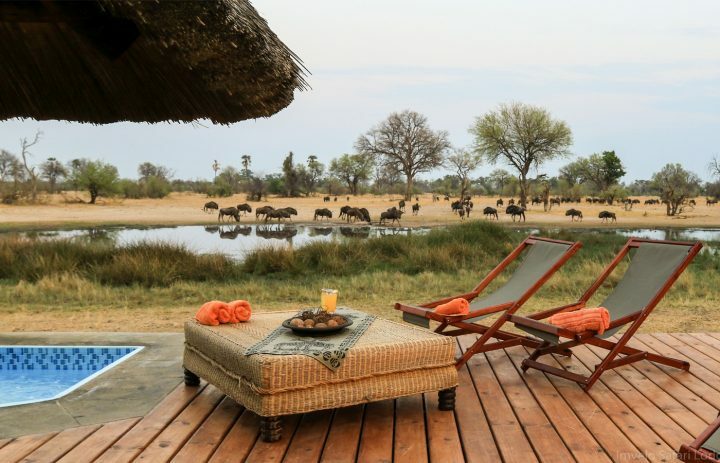 The 4 Spurwing Suites and the thatched bungalow are at ground level and overlook the lodge waterhole. The central guest area has a lounge, bar and dining room and overlooks a small waterhole where you will often find elephants drinking when you return from your afternoon game drive. As well as game drives in open 4×4 vehicles and walking excursions with a licensed professional guide Bomani has an excellent viewing hide called the ‘Lookup’ overlooking a small waterhole where you can watch elephants as they come for their evening drink and splash. Night drives are also possible within the private concession. Imvelo Safari Lodges has a very close relationship with the local Ngamo communties and offers visits to local villages and schools. Imvelo Safari Lodges are unusual in that they do not have seasonal price variations; their lodges maintain the same nightly rate throughout the year; which we think is great. 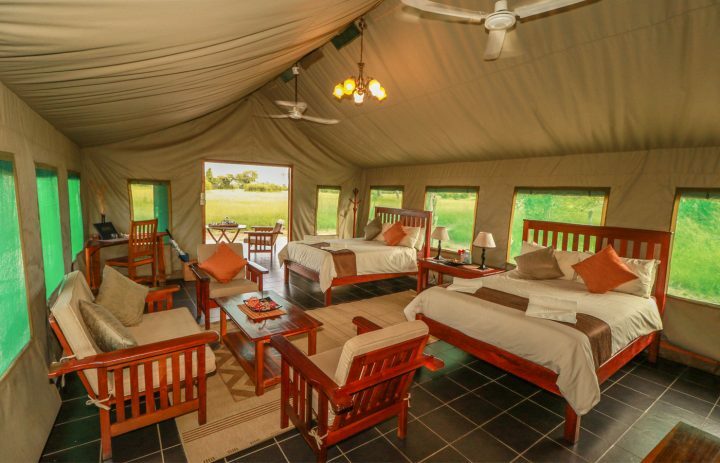 Bomani Tented Lodge costs US$419 per person per night in twin or double accommodation. A single room is US$ 545 per night. Rates include accommodation, all meals, drinks and laundry as well as all game activities. If you design your safari to combine two or more Imvelo properties generous savings are available and, of course, we’ll work hard to make sure you get a great deal. 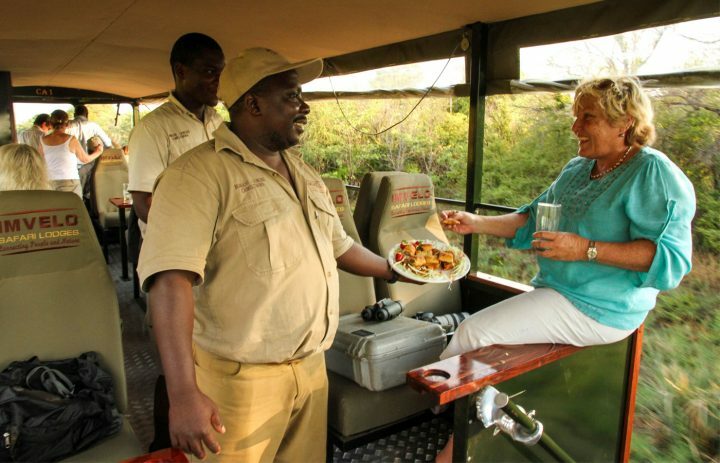 The Elephant Express is a custom built rail car that is used to transfer guests from Victoria Falls to Hwange National Park. As well as being a novel way to make the journey travellers on the Elephant Express often get to see some very special wildlife sightings. Imvelo maintain 15 boreholes in and on the borders of the national park which provide essential water to the wildlife during the dry months of the year. 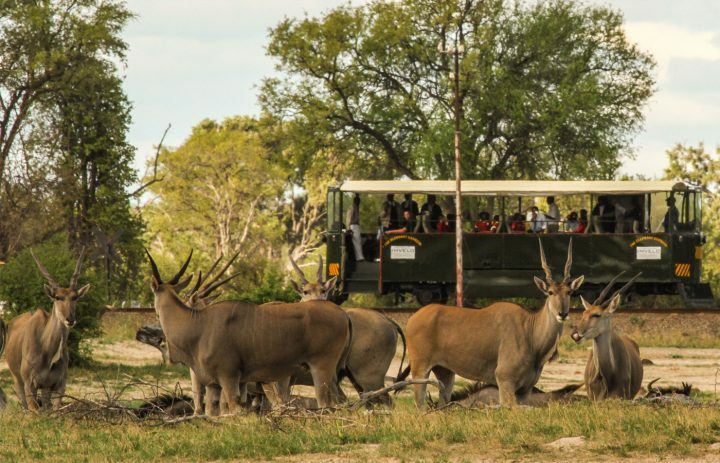 A popular activity is to take an all day trip into the park to visit the waterholes to drop off fuel and oil for the motors as well as rations and supplies for the pump attendants. 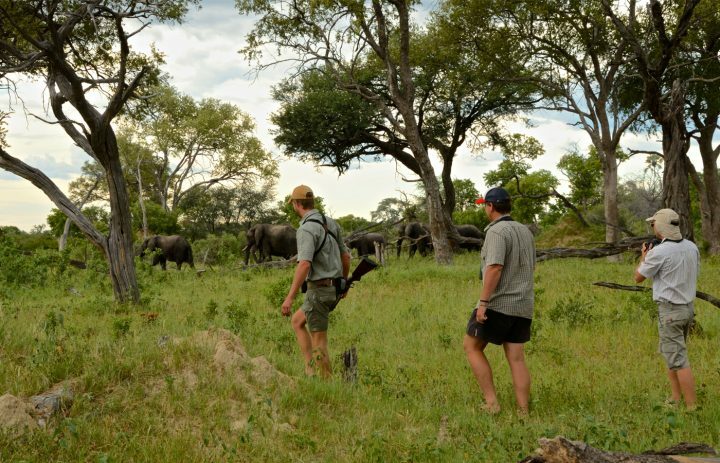 Imvelo Safari Lodges are a leading exponent of community led conservation. Any visitor to Bomani will quickly see the close relationship that the lodge has with the local Ngamo community.As well as drawing many of their staff from the local community guests will have opportunities to see for themselves just how important this relationship is. Whether it is funding local schools, providing clean water or providing dental care Imvelo play a vital part in community life. If you’d like to find out how you can include Bomani Tented Lodge or other Imvelo lodges into your safari, just drop us an email or phone.